When people begin researching and picking our new affordable kitchen cabinets online, they’re mostly looking at the construction and the price. They want to make sure they’re getting a quality product at a great price, but they often miss one important aspect: customer service. 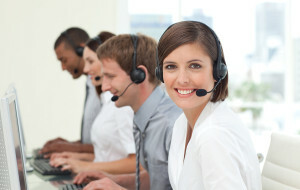 The customer service you get from a company is just as important as the price and construction of the kitchen cabinet. While everyone hopes there are never any problems, when they arise you want to make sure there is someone reliable to call. What happens if you get your brand new RTA kitchen cabinets and you can’t figure out to put them together? Maybe you get it together and it doesn’t quite look right or you think you don’t have the right tools. Who do you call? You call the person you got the product from. You hope you get someone that knows the product and can help with your questions. When you order from some massive retail store or no-name online store, you risk all of that. You need someone that gets back to you quickly and efficiently. They need to be courteous and understand your problems. You won’t get that with many places that offer ridiculously low prices. Remember, buyer beware. Imagine this nightmare scenario. You get all your cabinets, but it’s a different set or it’s a different color than you ordered. Maybe you don’t have all your cabinet pieces or it’s not the right configuration for your kitchen. You just spent thousands of dollars on the perfect cabinet set and the company you ordered from isn’t answering your emails or phone calls. While reputable companies try their best to make sure everything goes smoothly and have quality control practices in place, mistakes do happen. With an investment as large as ready to assemble kitchen cabinets, you need someone that stands by their customers and will quickly take care of any issues. A good company doesn’t just want to give you a great product, they want to give you a great experience. You know that customer service is important, but how do you know that they company you want is the right one? Check the website and see if there are any customer testimonials. These are people that obviously liked the service so much they provided a testimonial. How long have they been in business? Companies that have been around for several years obviously do a good enough job to stay afloat. Be wary of new companies that just popped up as they could be unscrupulous. One of the best ways to determine if a company is good is through online reviews. Online reviews on Facebook, Yelp and other review sites provide people the opportunity to give their opinion without repercussions from the selling company. No company is perfect and you can’t satisfy everyone, but businesses with overwhelmingly positive reviews are the ones you want. Are you ready to begin your kitchen cabinet search? Take a look at our kitchen design tool and see how new cabinets will look in your kitchen. ‹ Hate the Look of Your Kitchen Cabinets? Spruce Them Up!